I'm chuffed to bits about the Royal Wedding tomorrow. Tonight, however, I'm stuck baking cupcakes for the school bake sale... so why not have a little fun with it? 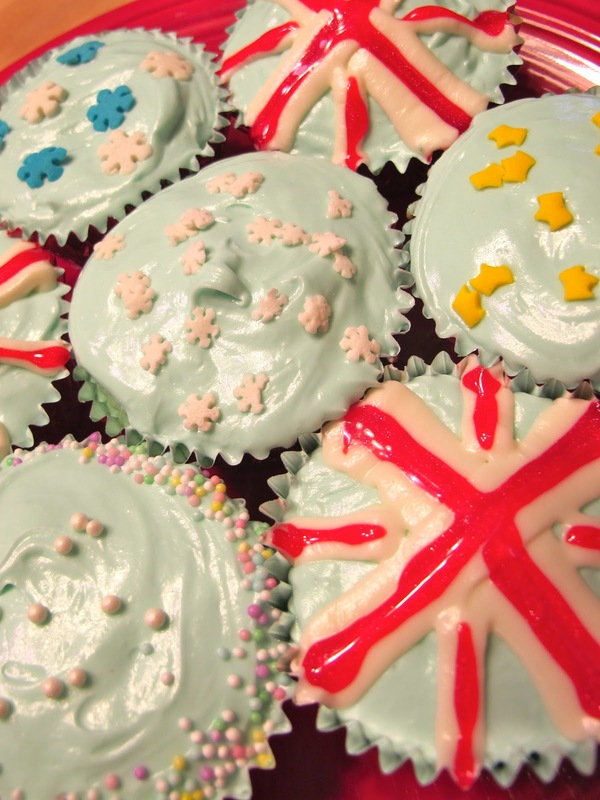 So, if Prince William and Kate Middleton have a baking disaster they can call moi. I can pretend, can't I? 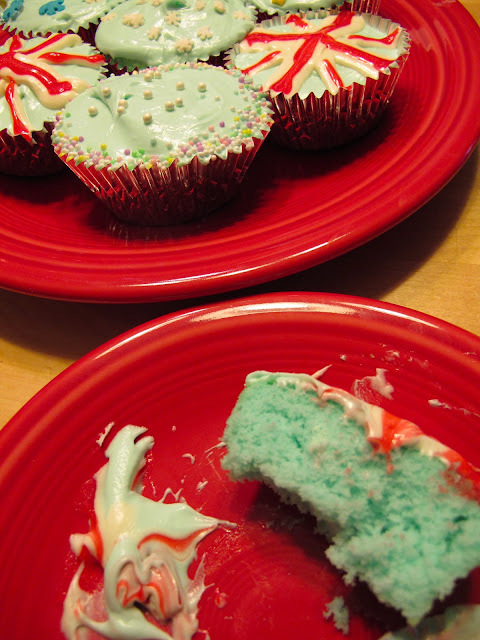 Cream cheese frosting tinted slightly with neon blue food coloring... and blue cake for the blue bloods. And we used Disney Princess sprinkles which come in adorable little pearls, cinderella shoes, and gold crowns. 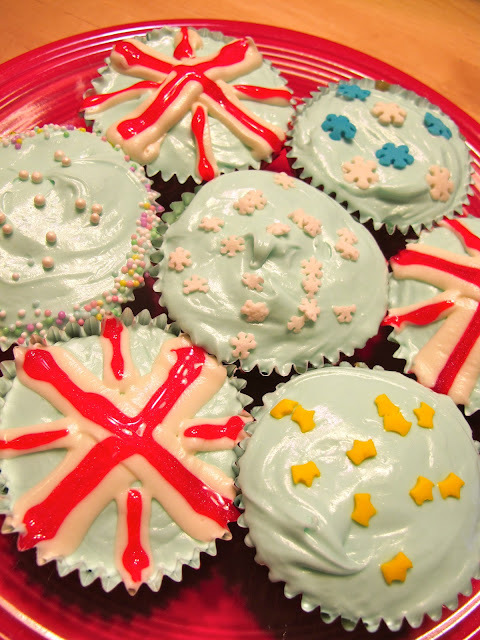 We also used some little snowflakes which I think are ever so pretty on the Tiffany blue frosting. For the union jacks, we used red glitter gel for the stripes and tried to draw straight lines... not so easy! better put a lid on this quick before the kids get their fingers in the frosting! Cheerio!